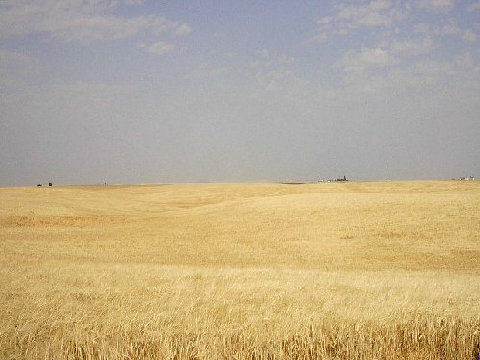 On my way to Grand Coulee Dam in Washington, I passed fields of grain along Rt. 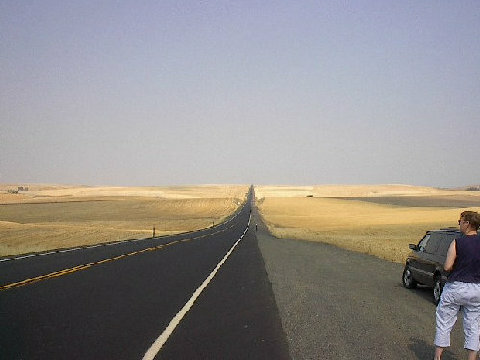 2 between Idaho and Washington State. 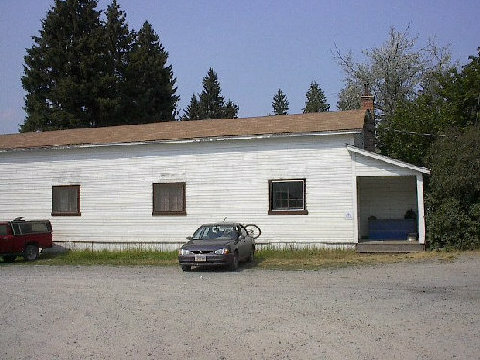 Naples General Store Hostel is tucked way up in the northern tip of Idaho. Quiet, secluded & away from big cities. 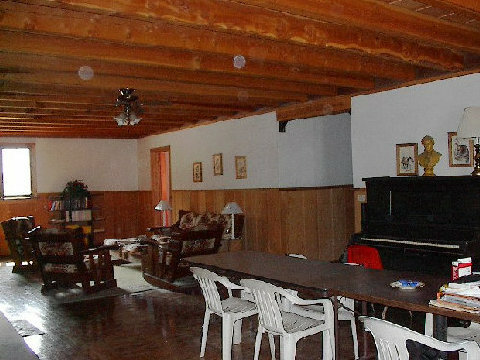 Left: The hostel itself is located within a former dance hall. The building is big & old, and even though the temperature was hovering around 100 degrees outside--it was plenty cool inside even without air conditioning. 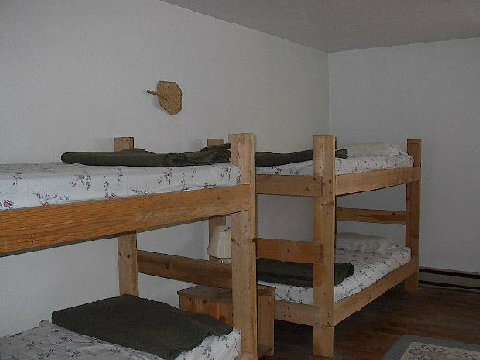 Right: The main room in the hostel. Had the place to myself. No TV. 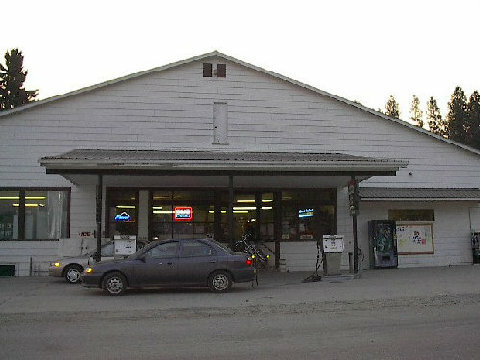 And the nearest phone was the pay phone outside the general store. Arrived here around 2pm, decided to call it a day. The heat had been sweltering all the way across the country. I thought it would be cooler in northern Idaho, but it wasn't. But the inside of the hostel was cool. I used my free time well, showered, relaxed, did some of my laundy, caught up on my journal writing & looked over my maps and plans for the next days travel. Once again, I was the only hosteller there. So I had my choice of beds. 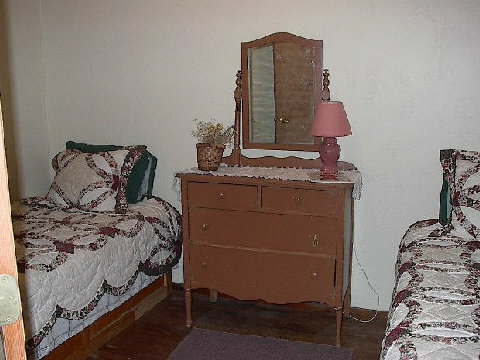 The manager / owner gave me one of the private rooms with a full size bed for a change. 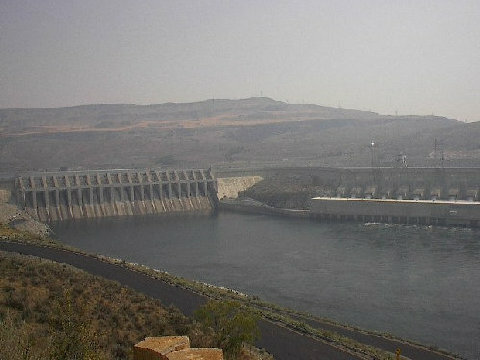 Right: I'm sure this one is the Chief Joseph Dam. (I'm sure only because I took a picture of my car in front of the Chief Joseph Dam statue). 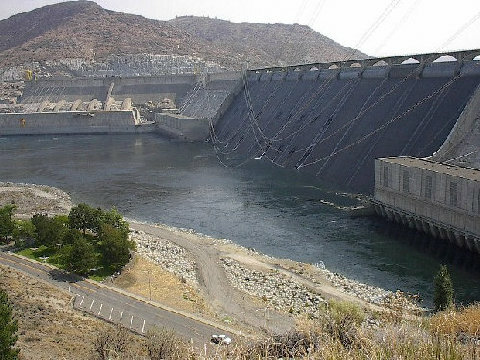 Left: Grand Coulee Dam or Chief Joseph Dam? Got my photos a little mixed up here. Problem is, some pictures I took with my son's digital camera and some pictures I took with my old cheap camera 'cause I didn't trust the digital. I was afraid I'd push a wrong button on it somewhere--and end up deleting 500 or 600 pictures. So I took a few "regular" pictures "just in case". BUT, now I can't find any of the "regular" pictures 'cause when I moved I "misplaced" them. When I find them, I'll be putting more pictures up on my web site.